Hunters shot 6 Does. Four were about 2 years old and two were about 3 years old. This brings the total number of deer harvested thus far to 15. 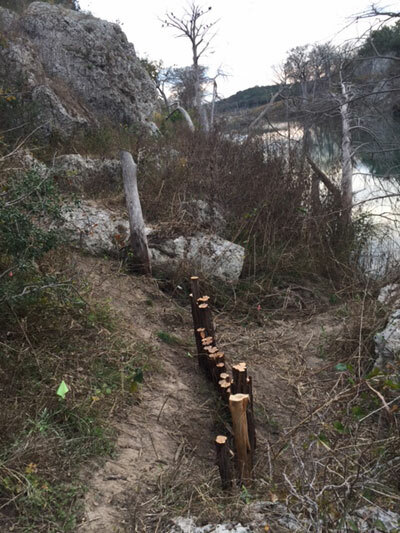 Improvements to steep river trail. This entry was posted on Sunday December 03 2017 at 12:00 am and is filed under Census, Habitat, 2017 Journal You can follow any responses to this entry through the RSS 2.0 feed.